1. Dry roast all the ingredients, except salt, separately in a pan. 3. Combine together and add salt. 4. Grind to a fine powder. This is a nutritious powder given to new, lactating mothers. 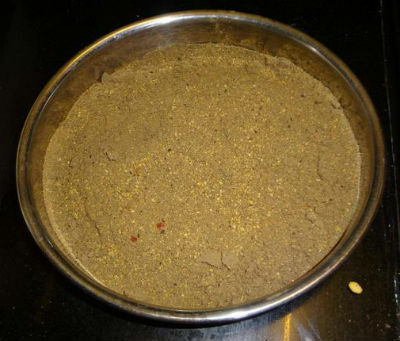 Feel free to comment or share your thoughts on this Angaya Podi Recipe from Awesome Cuisine.